*Fantastic flat a few meters from the beach, in Fenals, Lloret de Mar. This apartment has been renovated in 2017, with great taste and high quality. 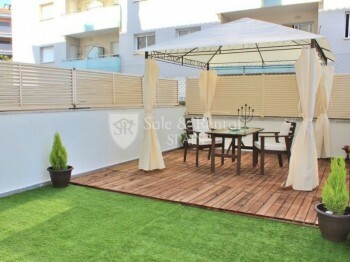 It has a total of 84 m2 approximately and terraces on both sides of the flat. It has a spacious living room with access to a terrace of 10 m2, from which there is a direct access to the communal aream, with swimming pool and garden. This flat has a beautiful fully equipped and independent kitchen, 2 double bedrooms and 1 bathroom. One of the bedrooms has access to a large terrace of more than 40 m2 with a chill out area, ideal to enjoy with the good weather. This property has parquet floors, beautiful design furniture, fitted wardrobes, security locks, electric shutters and parking. Located in a community with pool, gardens and close to amenities and the beach.